I don’t wear white very often, but the beautiful weather means I am feeling so summery! Normally, I am an Autumn/Winter girl, I like being cosy, wrapping myself in blankets like a cocoon and hot chocolate. But unusually, I am loving the summer this year. Maybe it’s because its actually been warm here. Ever since the sun has come out, I have been reaching for dresses and skirts over my usual jeans and I have been loving white. 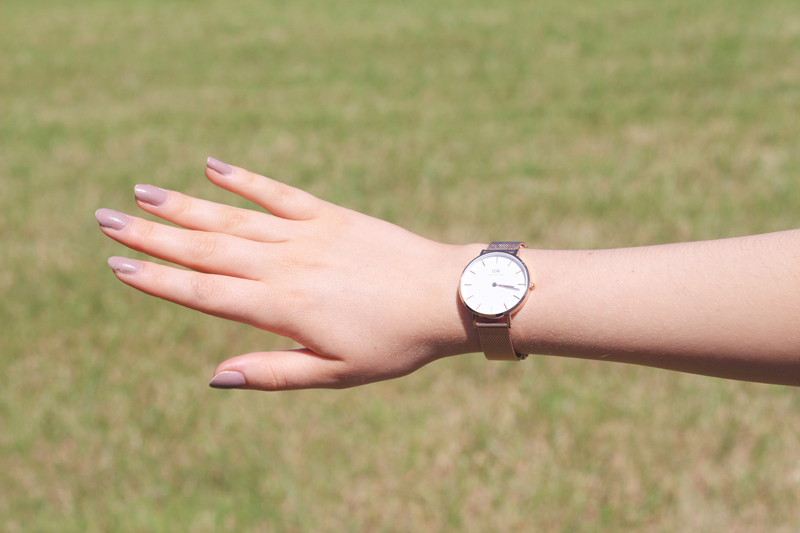 Today’s post is in collaboration with Daniel Wellington, where my beautiful rose gold watch* is from. I also have a discount code for Daniel Wellington watches to share with you! Last weekend, my boyfriend and I took a trip to The Wild Place Project which I chatted about here. It is a lovely place to visit if you get the chance. 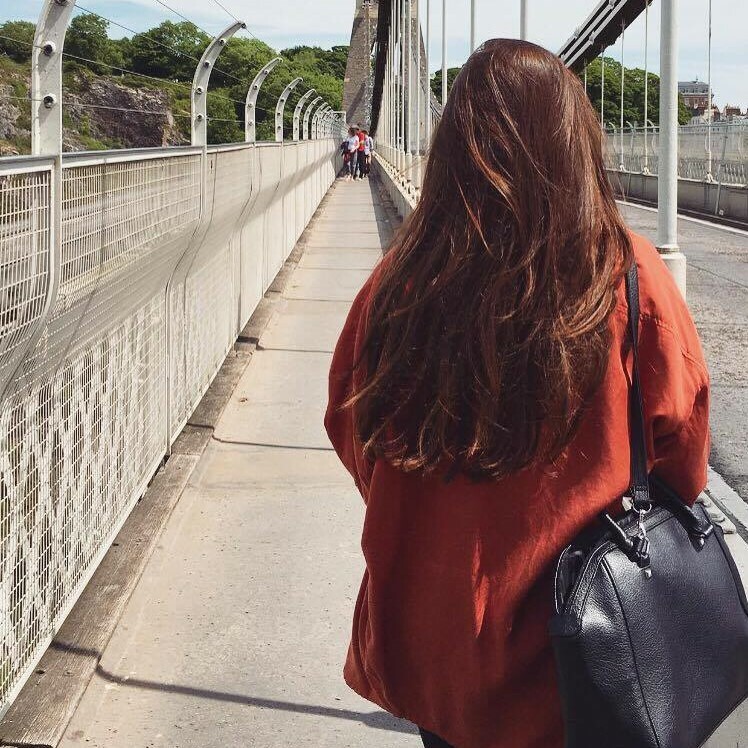 Along with lots of animals to look at, they have so many walks you can do. We sat and had a picnic in one of the fields. I wore my white smock dress by ASOS. I wasn’t sure if smock dresses would actually suit me, but they are so comfy that I’ve been wearing them anyway! Easy to style and they hide a multitude of sins! Eaten too much ice-cream? No problem, the floaty fit will cover that, which is a win in my books. My watch is the Classic Petite Melrose watch. I’ve chatted more about it in detail in this blog post, but I have literally worn it non stop since I wrote that initial post. I go through phases of wearing jewellry but I consistently wear a watch. This watch it the perfect one to wear alone – it adds something extra to your outfit without being too much. Subtle details are my favourite. I know I wear my watch on the wrong hand! Personally, I am right-handed so to me it makes sense to have it on my dominant hand – but according to the world this is wrong. I know, look at me, breaking the rules. My nail polish is Sally Hansen in Mauve Along for anybody wondering too. Daniel Wellington have kindly provided me with a 15% off discount code for their website for you to use. Use the code ‘MARBLEBEAUTY15’ to receive the discount at the checkout. They have a gorgeous collection on their site, with lots of styles and colour options.